Wood Floor Sanding: Your wood floor will be in safe hands. Your wood floor will be in safe hands and left looking clean, fresh and beautiful. We work hard to ensure a safe, professional job and glowing finish. construction industry and trading standards endorsed organisations. You will not be disappointed in our wood floor refinishing services. superb results, giving your room a new lease of life. because at the end of the day, it is the finish that counts. What happens when you book your wood floor sanding. 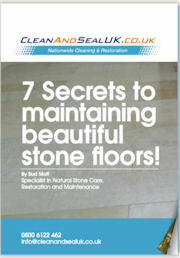 We will arrange a date to visit you and evaluate your floor finishing requirements. You can discuss with us the floor finish you are looking for and ask any questions you may have and chat about the best finish for your type of floor and the benefits between oils and lacquers. You will then recieve a quote with an exact figure, by email. Simple. Do you want to know about wood floor sanding. Are you asking yourself questions like, where do I start, what’s the floor sanding procedure, what mess is caused when sanding wood floors, what are the best wood floor protection products available to suit my wood floor, what wood floor finish would best suit my environment and budget. How do I know what floor sanding company to use, what happens if things go wrong with my wood floor after the company has left? We get asked questions like this all the time at Clean ‘N’ Seal Southwest and we will always give you honest answers and options when it comes to wood floor sanding Bristol. We truly believe that trust is a major factor when seeking a wood floor sanding company in Bristol to undertake any wood floor sanding and refinishing project in your home, place of work or community centre. Call us for Only the best advice. If you were to contact Clean ‘N’ Seal Southwest about you’re wood floor sanding requirements, you will receive only the very best advice on the wood floor sanding and finishing project you are considering. We will go above and beyond to make sure you get the wood floor finish you are looking to achieve. You are in Safe Hands when using Clean ‘N’ Seal Southwest wood floor sanding services In Bristol, Bath and the whole Southwest of the UK. This is backed up with our accreditation to a number of reputable health and safety, highest standard of workmanship, construction industry and trading standards endorsed organizations. You will not be disappointed in our wood floor sanding services, you will only benefit when you use our services. Get in touch for further assistance. If you require our wood floor sanding Bristol services then fill out the quick and easy form and one of the team will get in contact with you, otherwise please call us on freephone 0800 6122 462, office on 01275 818329 or Bud on his mobile 07968945745. We will then arrange a date to visit you and to evaluate the wood floor sanding and finishing requirements you are looking to achieve. We will discuss with you the floor sanding procedure and answer any questions and concerns you may have, we will chat about the best finish for your type of floor and the benefits between oils and lacquers, plus the pros and cons of the different type of finishes available. If you have a certain product you would like to use or a certain colour you may like to have applied we can help. After gaining as much information regarding the job, time frame, and dates required we will leave and submit a formal quote that you will receive via email within a couple of days. Clean ‘N’ Seal Southwest professional wood floor sanding procedure can quickly without any mess or dust restore your tired and worn out looking wood floor back to its beautiful original condition by using only the best equipment available which is virtually dust free. By using various grits we can strip your wood floor and turn it into a smooth fresh, clean surface that shows off the beauty of the timber itself. Your wood floor will then have a finish applied to it, this is your choice and we will advise you on all products you would fancy. If you have a wood floor that has had slight or serious damage done to it and you want to know the options on what can be achieved with this floor then let us know. We can remove scuffs, scratches and stains, plus treat wood worm, we can also replace boards or blocks and even fill in holes where radiators once were. What floor types do we work with? You will be glad to know that we have worked on thousands of square metres of all different types of wood floors, this experience places us above our competitors when it comes to what procedure works with what floor type. 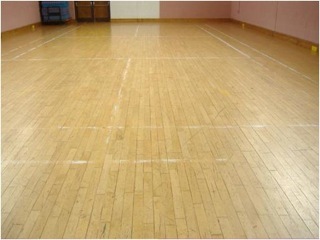 Pine and oak domestic floors, Parquet block floors, maple floors and skittle alleys, hotel floors, school halls, granwood sportshall flooring. If you are enthusiastic and a good DIY’er and thinking about doing the wood floor sanding and refinishing yourself and would like some sound advice without any pushy sales pitch then contact us. We will give you professional advice on what to do and what not to do when wood floor sanding, for example, you don’t want to sand across planked wood floorboards, you should always go with the grain of the wood, plus you wouldn’t want to leave large gaps between floorboards if you have draught coming up through the floor. We can restore your wooden floors using the latest technology in low dust machines which are suitable for all types of wood flooring, including parquet flooring, sports floors and domestic floorboard sanding in the home. Our Bristol wood floor repair and sanding process is carried out before refinishing with either hard wax oil or lacquer (varnish) to seal the surface which then transforms your room from being drab and lifeless, into a beautiful space to live in. Our wood floor polishing service for Bristol and Bath, plus the whole Southwest can transform your tired looking wood floor into a warm loving centre piece of any room, we can do wonders for your wood floor from parquet to pine moranti to maple and oak to walnut. Clean 'N' seal Southwest's wood floor polishing service is for you if you dont think your wood floor surface is in need of a full sand and refinish restoration service, it just needs bringing back to life! get in contact with us and one of the team will visit you and survey your wood floor to see exactly what service you need to restore your wooden floors. Our skilled technicians can make your hardwood, engineered or pine floors shine, with the very best floor wood floor polishers and buffers available your wood floor will start to live again, giving reflectivity and making your whole room light up once again. You will be glad to know that our wood floor polishing service is available for any commercial or domestic property across Bristol, Bath and the Southwest of the UK, we have polished hotel wood floors, village halls wood floors, nightclub wood floors, pub wood floors, office wood floors and hundreds of domestic wood floors across Bristol, Bath and the Southwest. Ever wondered how to polish wood floors ? Why not send us an email and we can discuss how to polish your wood floor with you, and the best way to acieve amazing results, just like our parquet floor polishing service that we offer to all our commercial and domestic customers. Clean 'N' Seal Southwest always use the best sealers and our Bristol wood floor refinishing service is no exception. Making sure your commercial wood floor or domestic wood floor has the correct lacquer or varnish on your sanded wood floor will make all the difference to your finished Bristol wood floor restoration. The wood floor range of sealers we use are either from Bona or from Pallmann, we have found that both these brands have their own unique individual charachteristics and some products work better on some hardwood floors than the other brand. Preparation for sanding, refinishing and wood floor restoration in Bristol and the Southwest is extremely important for the finish of any wood floor project under taken by Clean 'N' Seal Southwest. Your Bristol wood floor needs to be prepped properly for the finishing process. Once your Bristol wood floor has been sanded, we will asses the floorboards for damage and unevenness. 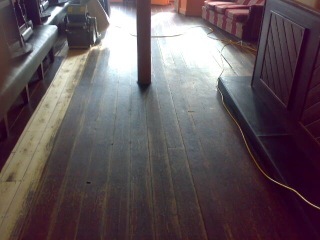 We will realign loose floorboards and remove old nails. 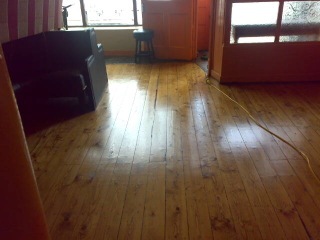 Replace damaged floorboards which are beyond repair with reclaimedfloorboards whenever possible. We will fill in gaps wherever needed using the dust from the floor and resins, mixed together so you get the same colour as the floor. If long filler strips are needed to fill longer gaps then we would also do this process at this time, these filler strips are very good for gaps between floorboards as they can rest on the joists below. After these filling in processes we prepare the floor for refinishing. We also offer you our unique Bristol and Bath wood floor top up coating service. If your Bristol wooden floor looks tired but does not need full re-sanding and finishing then contact Clean and Seal and we can arrange for your Bristol wood floor to look like new again without the added expense. We can clean your wood floor and then apply a bonding agent and then a lacquer to finish it off, Saving you money to enjoy on other things. You will be relieved to know that no job is too big or too small for our Bristol and Southwest wood floor sanding and refinishing specialists. Schools, Colleges and Universities are among some of the commercial work we can undertake, as well as Care Homes, Sports Halls, Skittle Alleys, Village Halls, Ballroom Dance Floors, Community Centers and Church buildings. At Clean 'N' Seal Southwest we only use the best machines made by Lagler. These floor sanding machines includes the Lagler Hummel, which is the best floor sander in the world. It is absolutely amazing at stripping wood floors and has perfect sanding quality, it is also the number 1 system for your Bristol parquet floor finishing. You should also know that we use the Lagler Flip for all our floor edge and corner sanding, this wonderful piece of equipment is the only edge and corner sander that works virtually dust free. Perfect hard floor sanding and refinishing in Bristol and Bath is only achieved with the best quality equipment and that is why we have always used Lagler. For a FREE no obligation quotation on our Southwest, Bristol and Bath hardwood floor services please call us on Bristol 01275 818329 or 07968945745 or complete our online enquiry form.